From the General Information Handbook 2014. What follows is accurate as of December 2013. CLAIR does not specialize in tax matters. The information here is meant to be used as a rough outline. CLAIR accepts no responsibility for any financial loss incurred or any legal action taken against anyone as a result of information contained in or omitted from this article. Please confirm the information provided by your contracting organization, regional tax office, and/or home country tax authority regarding taxes, and adhere to relevant laws and regulations. Your tax status in Japan depends largely on your nationality, the length of your period of stay, and your occupation in Japan. It is important to note that first and second year ALTs from countries which have not concluded tax exemption treaties with Japan (i.e. UK, Canada, Australia, New Zealand, South Africa, Singapore, Turkey, Jamaica, Malaysia, Trinidad and Tobago, Barbados, Kenya, Peru, Mongolia, Austria, Argentina, Fiji, Tonga, Samoa, and Palau), all third year and above ALTs (with the exception of third year Chinese ALTs), and all CIRs and SEAs are liable for tax in Japan. If paying tax in Japan, it is important to obtain a breakdown of such payments (Statement of Earnings) from your contracting organization. 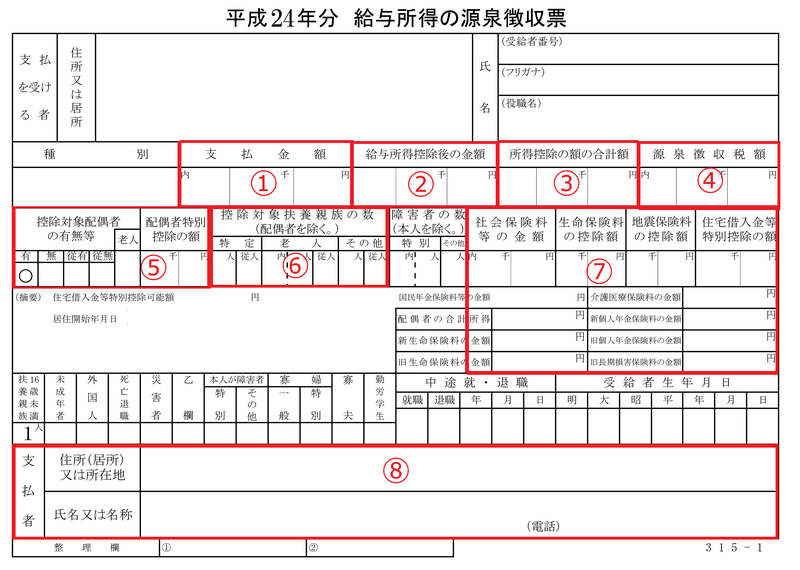 If your visa type and nationality exempts you from paying Japanese taxes, the statement may also take the form of a kyuyo shiharai hokokusho. Be sure to keep your “Statement of Earnings” (源泉徴収票/gensen choshu hyo). JET participants who have to file tax returns in their home country need this, as do all reappointed JET participants who apply for an extension on their status of residence. Many contracting organisations provide a gensen choshu hyo in January. The gensen choshu hyo details your income, tax you pay, and how much you contribute to Social (Health) Insurance and Pension. Please confirm details regarding your gensen choshu hyo with your contracting organization. The tax exemptions do not come automatically. JETs must take the initiative to submit the forms for both years. For US JET participants (ALTs), in order to be exempt from paying Japanese tax, IRS Form 6166 (certification of US residency for the year before participating on the JET Programme) must be submitted together with the Tax Exemption Form. Once file, the exemption will cover JETs for their first and second year. Please see the IRS website (www.irs.gov) for information on how to acquire Form 6166. The application for Form 6166 is called Form 8802. US ALTs must make every effort to acquire Form 6166 before coming to Japan. The IRS charges an $85 user fee to apply for Form 6166, which must be borne by the JET participant applying for the form. For more information please visit the JET Programme website on US Tax Exemption. Note: Those who are exempt from income tax in Japan are exempt for two years only. From their third year, all JET participants (except those from China) are required to pay tax in Japan. The Inhabitant Tax is calculated based on your previous January to December income in Japan and are levied by the municipality in which you reside as of 1 January of the current year. However, even when you are liable for taxes in your first year, inhabitant taxes are generally not required in the calendar year which you arrive. Therefore, if you arrived in July 2014, you will have inhabitant taxes due in 2015. The tax payment period is from June to May. Tax liability for each JET depends on their nationality and the contents of any tax treaty between Japan and their country. JETs are responsible for their home country tax liabilities and your supervisor, contracting organization, PA, and CLAIR are not in a position to provide guidance on home country tax liability.